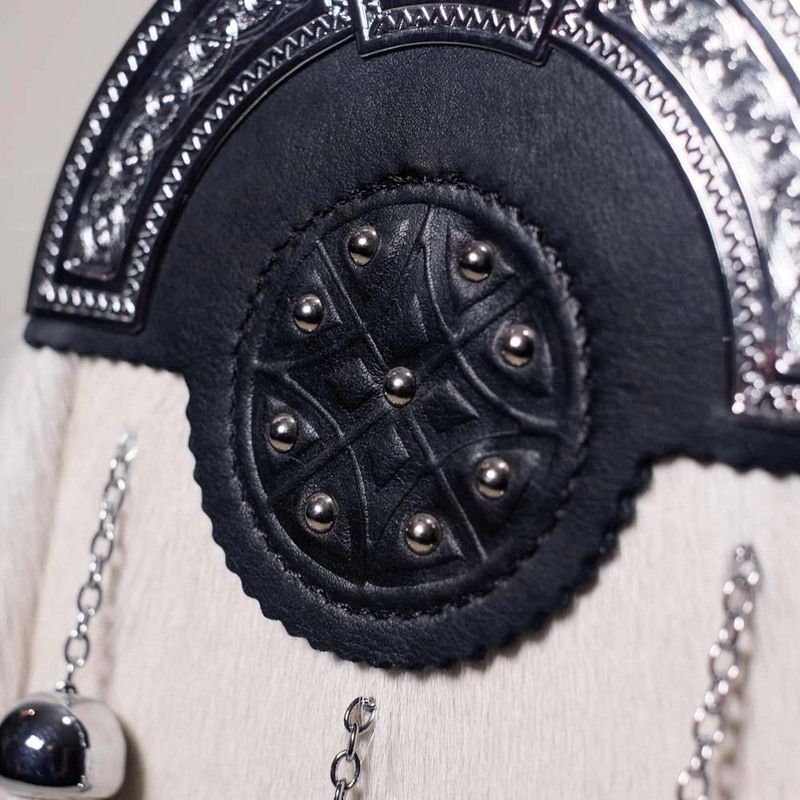 Full dress sporran with chrome celtic design cantle. 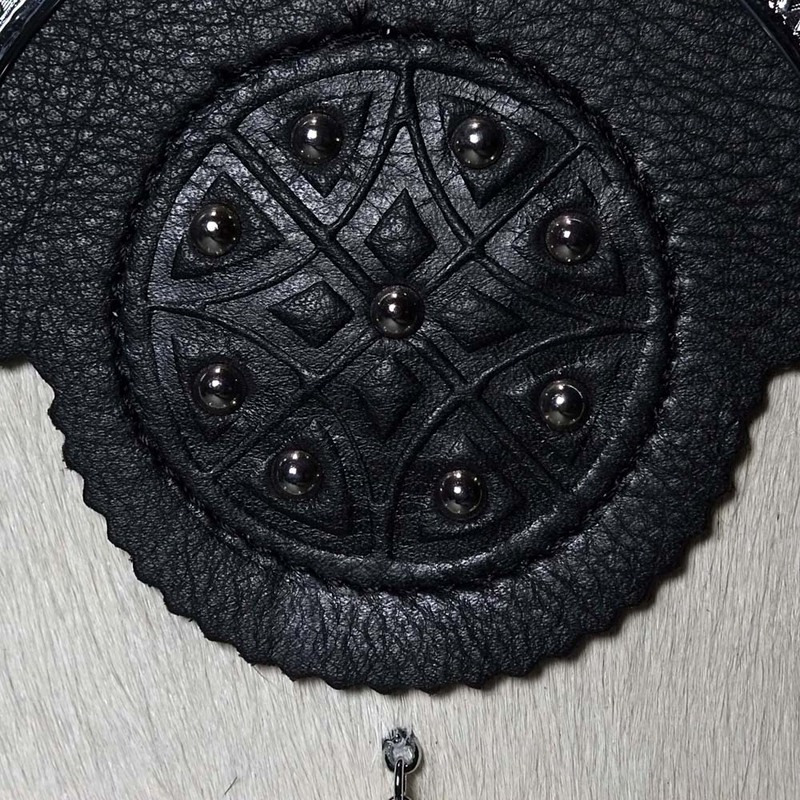 Black leather roundel design. Light grey bovine fur & black leather. 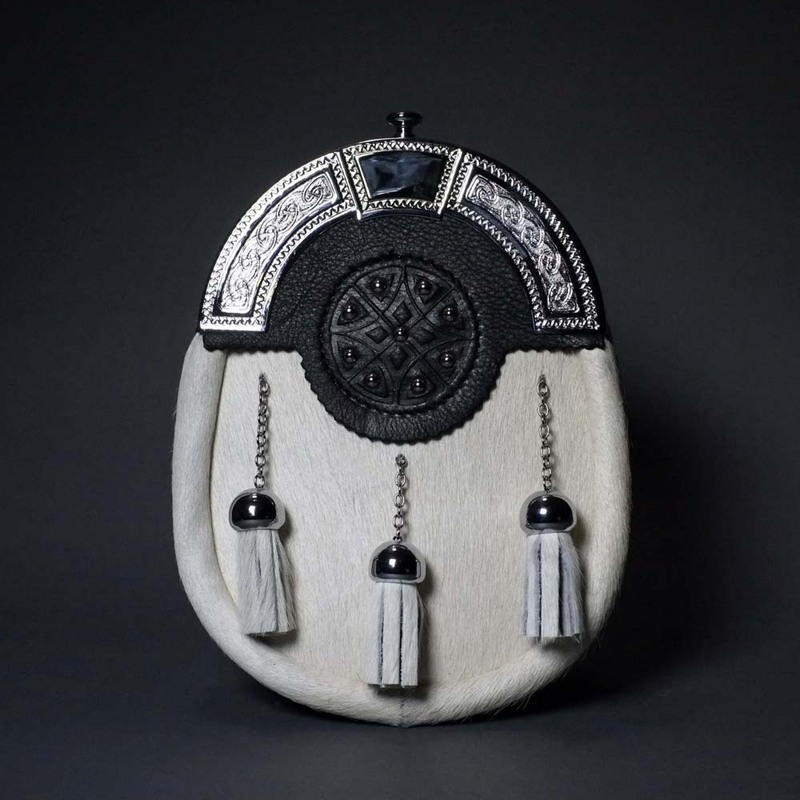 Handmade in Scotland by Margaret Morrison. Chains included.